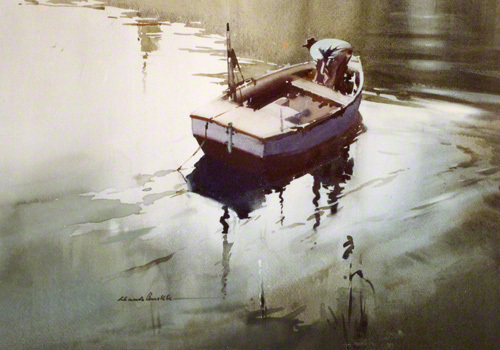 The picture depicts a boating scene showing a person preparing to leave the moorings on an estuary or river. This is very good example of the use of water colour to paint water and has a good claim for the best technical example by any artist. From a water colour painting by Claude Buckle. Created in 1972.